Lufiak Duell is the member of a Dragon Clan, but in order to become a true member he has to find a dragon's scale, and he only has one year to do this. Along the way he meets a fairy named Feenie and finds an orb that contains the soul of the Master Dragon. When he meets the dragons they tell him that a plague known as the Dark Force has been released and is slowly infecting the world. Lufiak joins the dragons in their quest to stop the Dark Force. 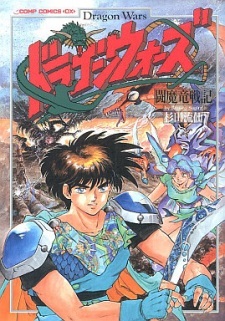 Dragon Wars: Toumaryuu Senki was published in English by Studio Ironcat, both in comic book format, with 11 issues running from April 1998 to February 1999, and in tankoubon format on February 1, 1999.